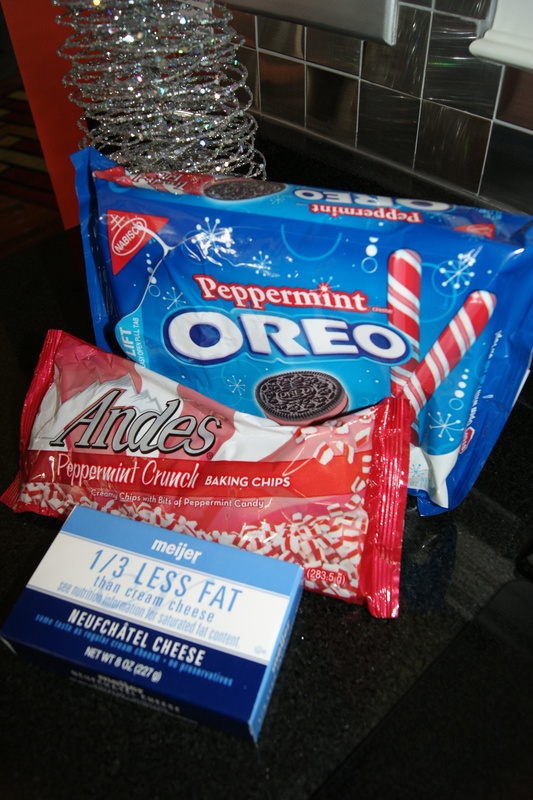 A great flavor combination this holiday season are the flavors of Oreo’s and peppermint! 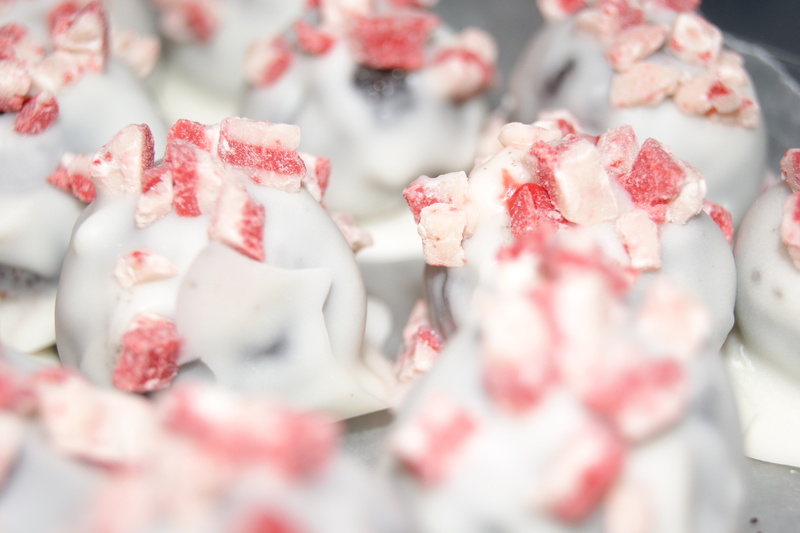 Christmas candy is a tradition in many households and the Christmas candy ball made with Oreo cookies and cream cheese is a new favorite of mine to make. 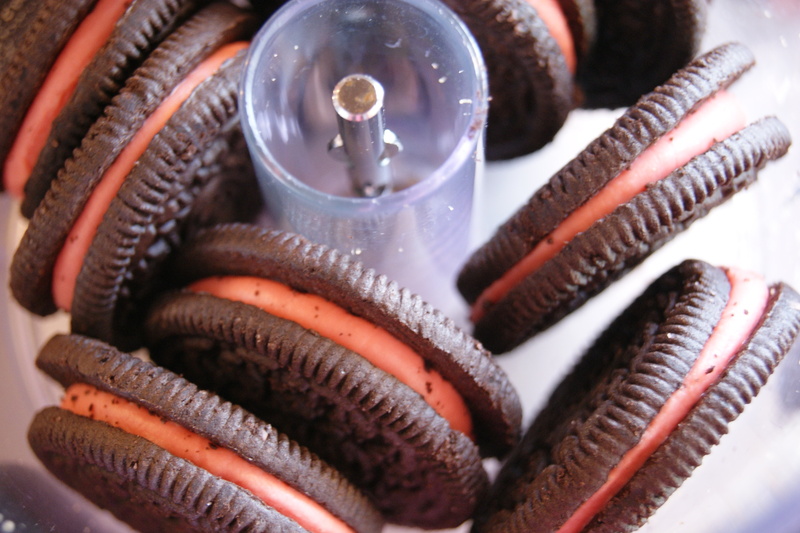 This is a new and fun way to enjoy those Oreo cookies that are in your cookie jar on the counter. 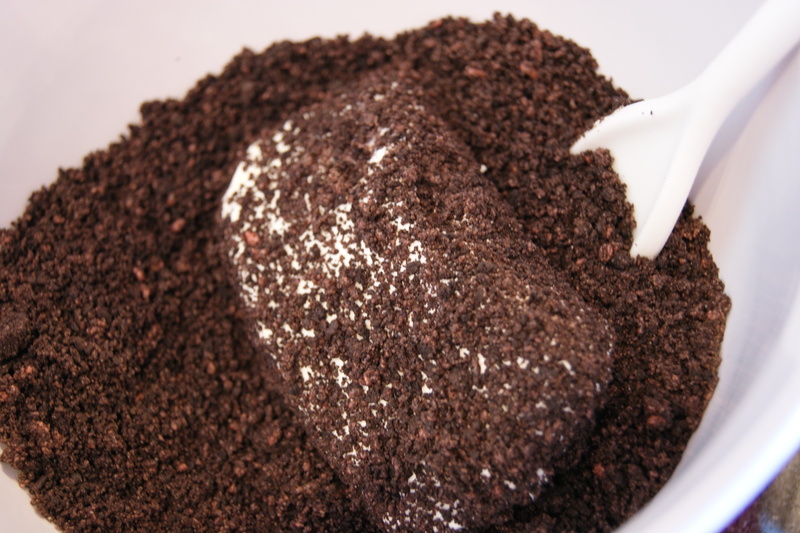 In food processor, grind up Oreo cookies. In large bowl mix cookie crumbs with the cream cheese making sure it is well blended. Shape mixture into 1 inch balls and place on wax paper lined cookie sheet. Freeze for 1 hour. 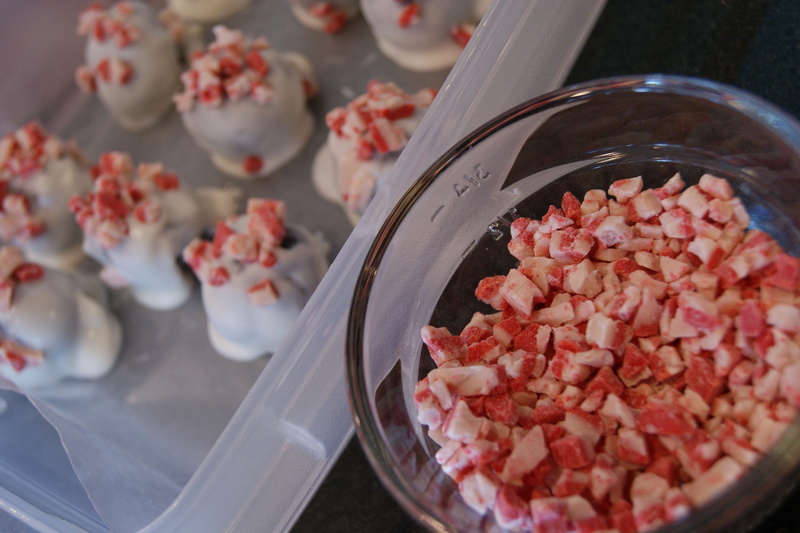 Melt white chocolate bark and dip each ball in chocolate, covering fully. Place back on wax paper and sprinkle on the peppermint baking chips. Allow to harden. Store in refrigerator. Simple. 4 ingredient. Utinsel free treat. 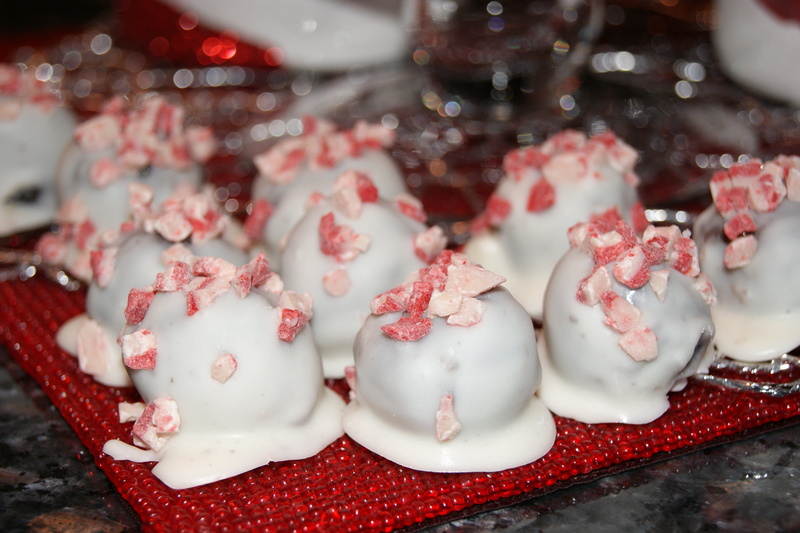 Decadent, delicious dessert candy sure to be a new favorite in your home too! This entry was posted in Deliciousness and tagged Christmas, Christmas and holiday season, Cream cheese, Oreo, Peppermint, White chocolate. Bookmark the permalink. Oh yummy! 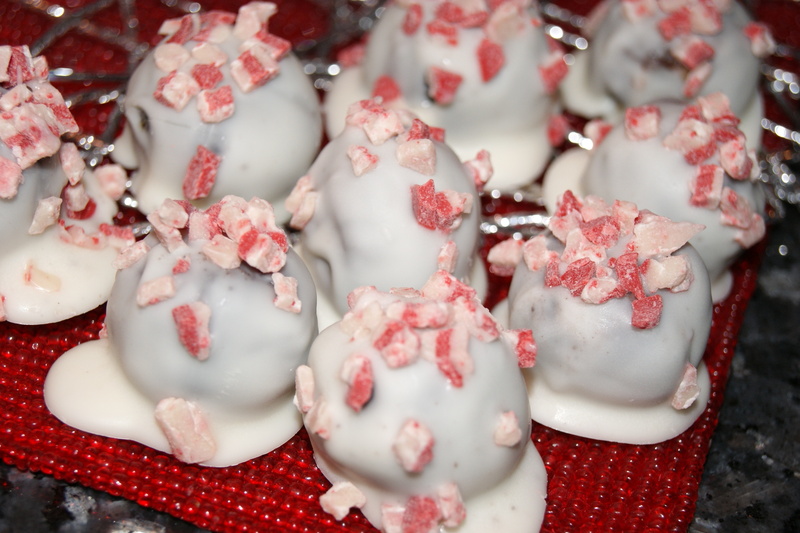 I love chocolate and peppermint anything! Just bought a bunch of mint chips and Andes to use for my holiday baking. I’ve seen the regular holiday oreos with the colored filling, but I haven’t seen the peppermint ones. I have to look for them! This would be a great addition to my cookie list. You could use regular Oreos Pam if you can’t find the mint ones, just add a little mint extract then to your mixture. Enjoy! I love oreo balls but never had the mint ones!!!!! YUMMY! Very cold, wind chill below zero here. Thankful I have a warm home to go to! I love that you used both peppermint oreos AND actual peppermint. Yum! I’ve never thought about doing the peppermint oreo cookies! I’m going to have to do that sometime soon. 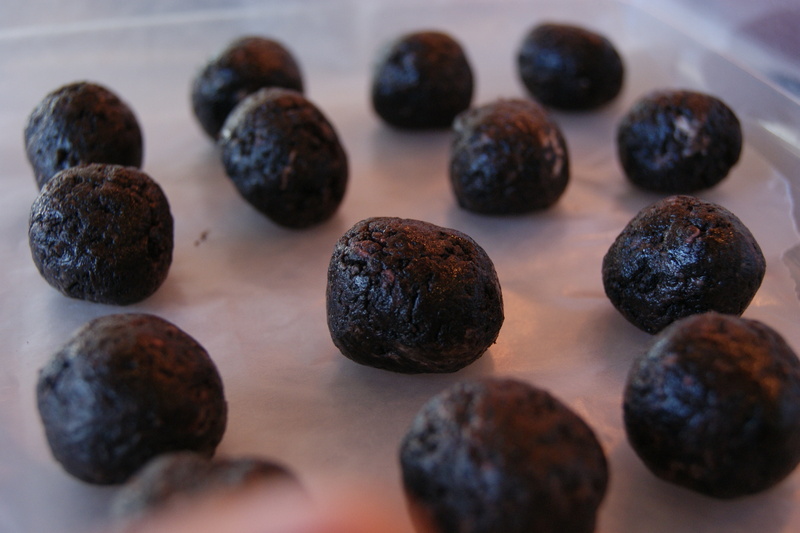 I’m trying to decide if I want to make trusty Oreo balls for a treat exchange we’re having at a mom’s holiday party this Friday or if I want to venture out with a new recipe. 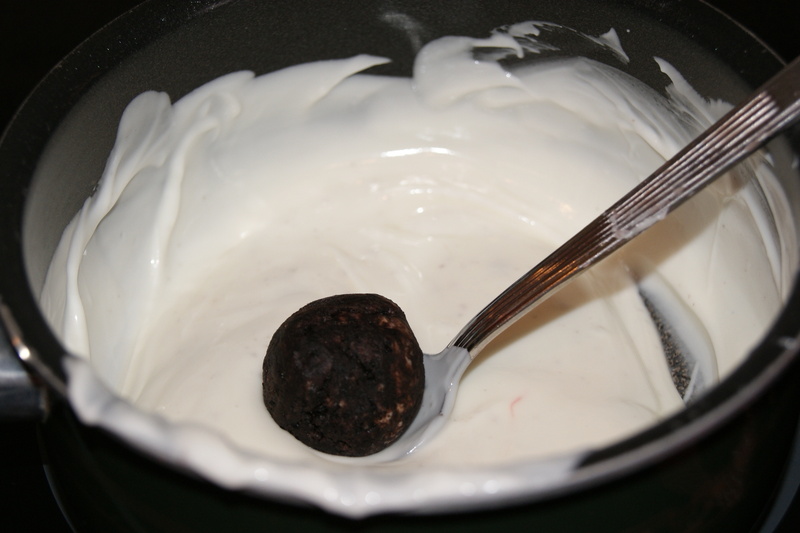 I love Oreo balls so much and doing them this way makes me want to have these even more! 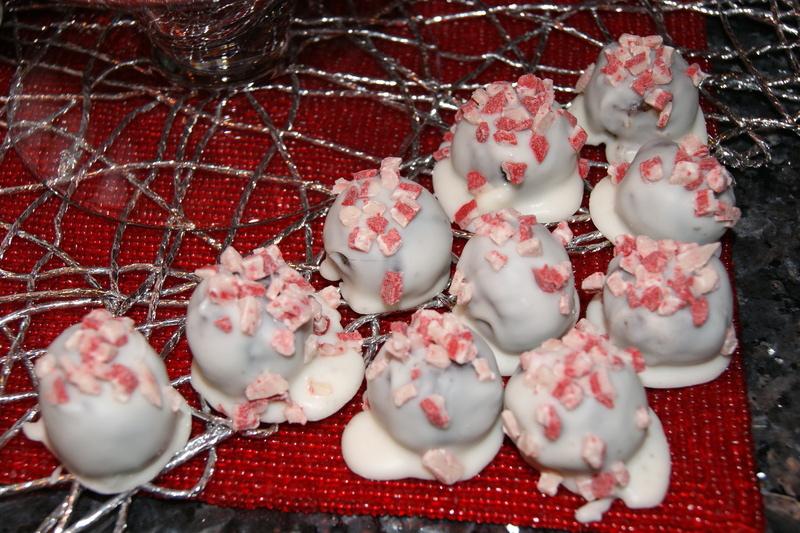 Tina, I am making 5 dozen of my Creme de Menthe Oreo Poppers (https://thescenefromme.com/2010/11/28/creme-de-menthe-oreo-poppers/) to take to a cookie exchange on Wednesday. I know mint isn’t on everyone’s palate, but hopefully the ladies will like my treats! Maybe you can make a half recipe of both plain and mint! OMG WOW. Seriously, amazingly, wow. Also, love the food processor pic! Thanks for the recipe! I’m having a party on Saturday at my house, but I’m going to another party Friday night, which means no time for running crazy baking up a zillion things. Plus, I’ve been looking for an excuse to stock my cabinets with a box of mint oreos! 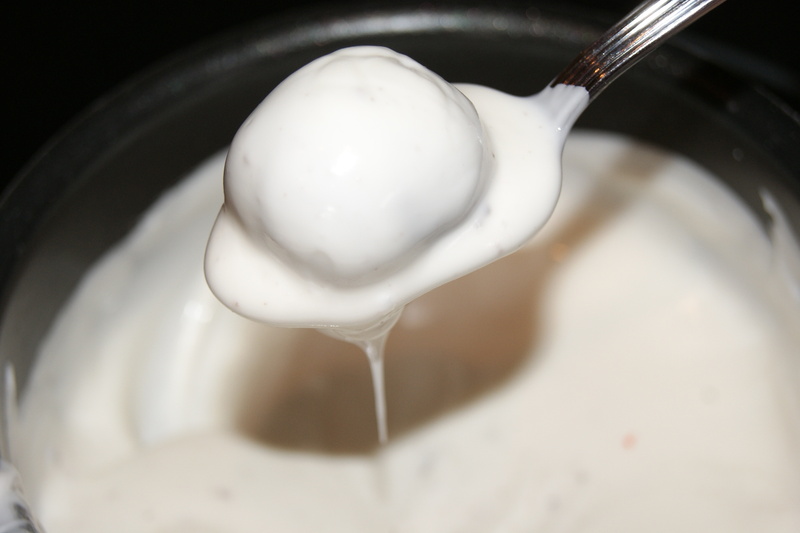 **psssst, they’re really good crushed up and mixed into vanilla bean icecream! 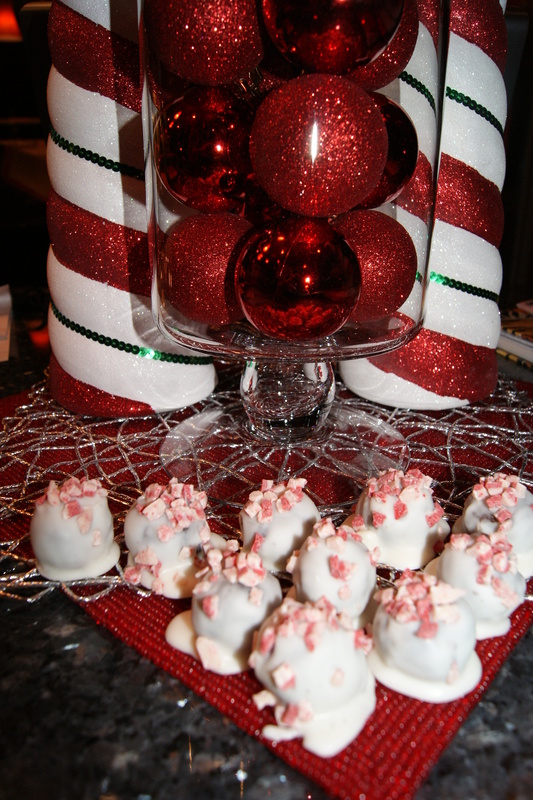 Love your idea Mindy~~And have fun at your parties this weekend, your treats are going to wow the guests! I hope you don’t mind, I plugged your blog by posting your link. I though my readers should see the real recipe. Yours are much prettier than mine were! HAHA! Thanks again. Mindy-That is fabulous! I am glad you got to make them. And I think your changes would be equally delicious! Much love to you for plugging my site also! Xoxo Have a wonderful weekend! These look and sound gorgeously delicious! i love the Christmas coloured theme! Yes, I am all about some vibrant color! And I thought that regular Oreo truffles were as good as things could get. 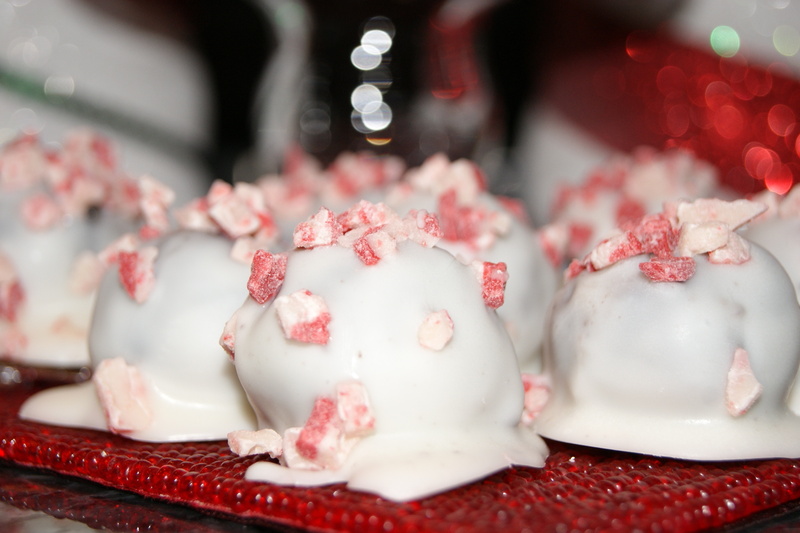 Your peppermint oreo balls show me that there is great potential for something even better. OH WOW! these are a great sweet eat! thanks for giving me the link!